The Anzac Memorial continues to be an important commemorative site for the people of NSW. 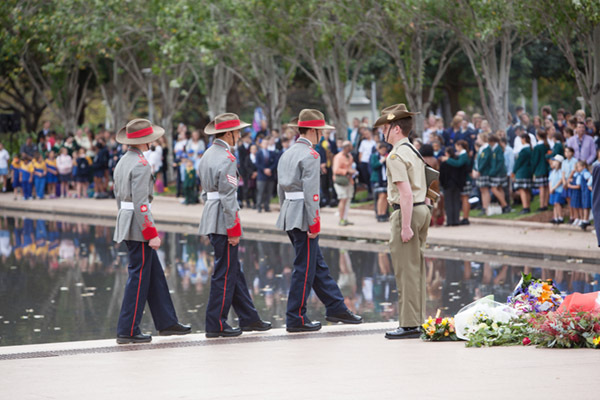 Significant events and ceremonies are held at the Memorial throughout the year. A daily service of remembrance is held at 11am in recognition of the hour, on 11 November 1918, at which the guns fell silent on the Western Front effectively ending the Great War. Since opening in 1934, the Memorial has acquired a large collection of artefacts related to NSW and Australia’s military history. The former RSL offices in the southern half of the ground floor of the Memorial have been used as an exhibition area for the Memorial’s collection since 1984, with a major redesign of the exhibition completed in late 2009. The restored Assembly Hall is used for the regular presentation of a short film about the Memorial, as well as being used for temporary exhibitions, lectures and special events. On 23 April 2010 the Anzac Memorial was included on the State Heritage Register as recognition of its heritage significance to the state of NSW. In August 2014 a $38 million redevelopment of the Anzac Memorial was announced.